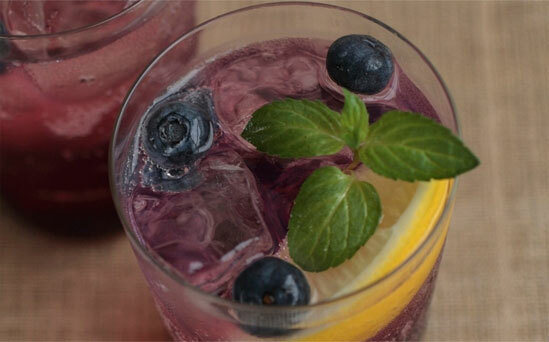 The juice of plump blueberries muddled with sugar and Madria Sangria Tradicional release the taste of July and Summer’s freedom. This colorful twist on a traditional sangria punch pairs delightfully with salty skin, sandy toes and the rockets’ red glare. Remember, you can’t do anything wrong when making sangria. You can also try peach and orange slices; all the flavors taste yummy. Add a couple of glugs of triple sec to bring out the citrus flavors. 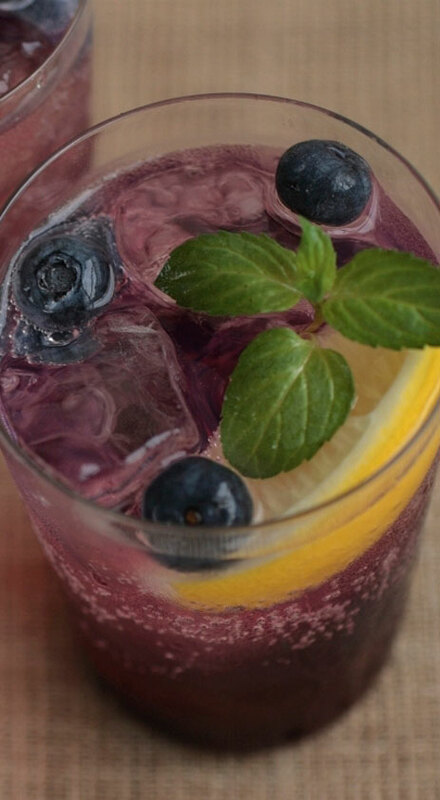 Add lemon-lime soda for some playful effervescence. Dump the blueberries and sugar into a big pitcher, then smash it all up into a juicy mess with a potato masher (or whichever smashing implement you so choose). This should be fun. If it’s not, you’re doing it wrong. 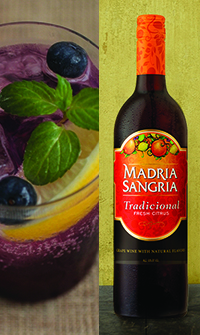 Dump in the Madria Sangria Tradicional, the fruit, and if you choose, the triple sec and brandy. Give it all a good stir. Then let it spend some time chilling in the fridge. When you can’t wait anymore, break it out, add the lemon-lime soda (or not), and serve it over ice with friends. Tip: after a glass, be sure to show off your sassy blue tongue.